Photosystems, PSI and PSII isolated from Thermosynechococcus elongatus were successfully immobilized on a TiO2 nanostructured film for use in dye-sensitized biosolar cells (DSBCs). The photosystem complexes were also immobilized on an ITO electrode modified with 3-aminopropyltriethoxysilane by utilizing the interactions between the electrode and the surface of the PSI or PSII polypeptide. Illumination of the PSI and PSII complexes immobilized on the ITO electrode resulted in action spectra in the presence of methyl viologen, which corresponded to the absorption spectra of the complexes. Compared with the ITO electrode, PSI or PSII complexes assembled on the TiO2 electrode had much higher energy-conversion efficiency in the presence of an iodide/triiodide redox system of an ionic-liquid-based electrolyte. This could have interesting applications in the development of DSBCs. 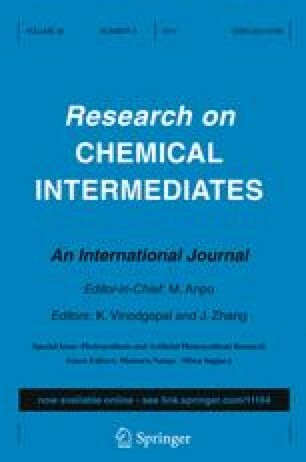 The authors are grateful to Professor Keisuke, Kawakami, Professor Nobuo Kamiya (OCARINA, Osaka-City University, Japan, Professor Ayumi Tanaka (Institute of Low Temperature Science, Hokkaido University, Japan), and Professor Miwa Sugiura (Department of Science, Ehime University, Japan) for isolation and purification of the PSI and PSII complexes and for helpful advice and discussion. This work was partially supported by JSPS KAKENHI Grant Number 25810097, the AOARD Funds for the Development of Human Resources in Science and Technology, and the TATEMATSU Foundation.